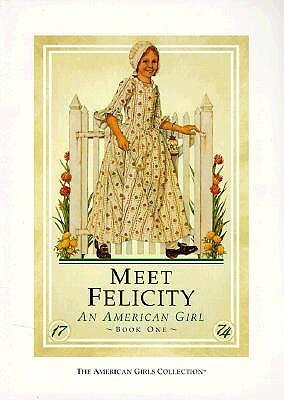 Felicity might have been the first American Girl series I read, I can’t remember. I just remember how jealous my nine-year-old self was that Felicity had a pony. It was also fun to learn colonial speak. It made me want to live during that time until I released women didn’t have any rights. Still, Felicity had her own horse and she is so full of a fiery personality that I wanted to be just like her (remember, I was nine). She also had a very close relationship with her grandfather, as did I. They aren’t the same when you read them now, but back in primary (elementary) school, these books were the coolest things ever! Also also? Have you ever read this? Also also also? You’re awesome and I love you. How did we NOT talk about this?? I totally had the Christmas outfit for Felicity and every year I made her wear it! I thought she was the ultimate rebel for wearing ‘breeches’ to ride a horse. =) I love, love you too! And our American adventure already sounds EPIC.